The future looks bright from the floor to ceiling windows of the One Montgomery Tower. The view is from SlideShare’s San Francisco residence, a collaborative space shared with LinkedIn, its parent company. Most content marketers are familiar with SlideShare; in fact, many of you who work in the B2B space are probably already using it. But chances are very few of you are using it to its full potential. Over the coming weeks, the Content Marketing Institute will roll out some of SlideShare’s biggest secrets for content marketers looking to use the platform more successfully. It’s one of the top 150 sites on the web: SlideShare even beats out well-known websites, including popular online community Reddit and file-sharing giant MediaFire. It draws 50 million unique visitors a month: SlideShare visitors spend time sifting through additional content, rather than bouncing after their initial visit — 3+ minutes on average. Content marketers everywhere are extending the benefits of SlideShare into new and unexpected areas; but the best ways to unlock its value may still be simpler than you might think. I sat down with Kevin Fisher, a SlideShare solutions consultant, to talk about how organizations are achieving amazing results from their content marketing efforts on the platform. Kevin was kind enough to share a few of the strategies behind those successes. For today’s post, we discuss ways to use SlideShare to turn any marketing channel into a lead generation tool. Content marketing has little value if it doesn’t impact the bottom line — and lead generation is the first step to sales. This certainly isn’t news for most marketers. Yet many of the top distribution channels content marketers use take incomplete or inconsistent approaches to lead gen.
SlideShare offers tools that can make lead gen easy. With a Pro account, content marketers can add pop-up lead forms at any point in a presentation for a variety of purposes, such as building an email list, collecting demo requests, or soliciting other actions your company considers to be a next step on the path to conversion. In addition, SlideShare’s presentation iframe is embeddable in websites and blogs — just snag the code by clicking “embed” at the top of the presentation frame — which can provide a huge lead capture advantage. For instance, if you like your blog to look as clean and uncluttered as possible, a SlideShare presentation enables you to include multiple calls-to-action — such as an email sign-up box and links to related content — without adding bulk to your page. There isn’t much effort required, either. 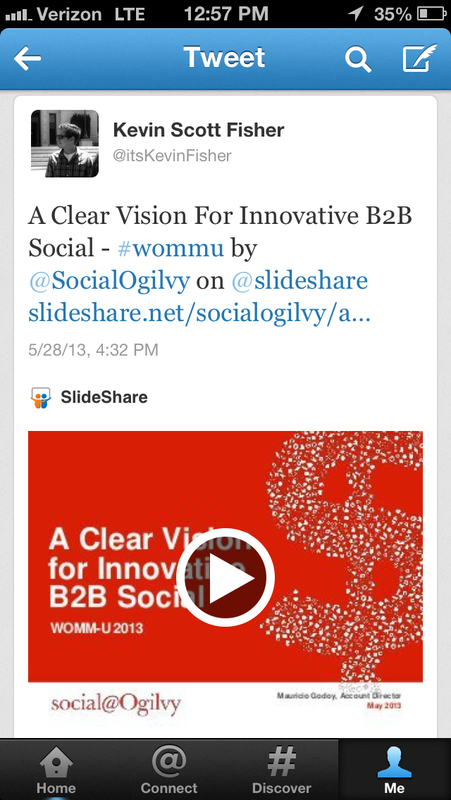 Just share your SlideShare link over Twitter, and anyone who opens your tweet will find the embedded presentation. Your SlideShare page (i.e., the page where your presentation is hosted) even keeps a record of how many views it’s received through various social channels — Twitter included. However, the ability to embed presentations and add lead forms is just the tip of the iceberg. To get the most out of your SlideShare efforts, you’ll need a coordinated approach. 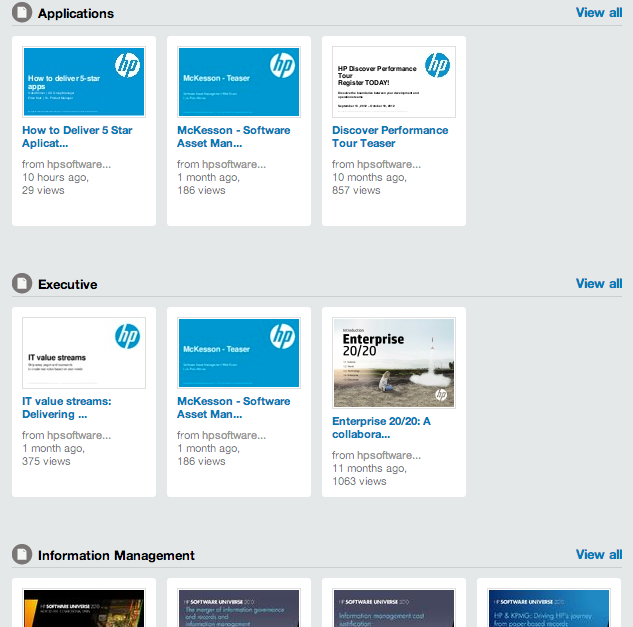 Achievers, an employee engagement software company, launched its SlideShare presence with five presentations. Within a week, it received dozens of leads — in fact, 77 percent of all its incoming social media leads were able to be attributed to those presentations. Yes, SlideShare can take a lot of the work out of lead generation. But that doesn’t mean those leads will just fall into your lap. You will still want to spend some time optimizing your lead form strategy before you jump into using SlideShare for this purpose. 1. 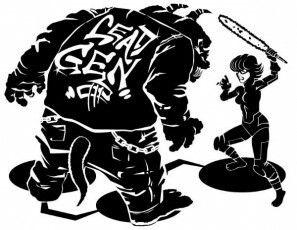 Segment your content: Strong segmentation is crucial for lead gen success, and content marketers who are looking to segment their lead forms by audience type or the customer’s sales funnel stage have a dynamic friend in SlideShare. These segments will come in handy both for delivering relevant content and for creating and customizing your lead forms. 2. 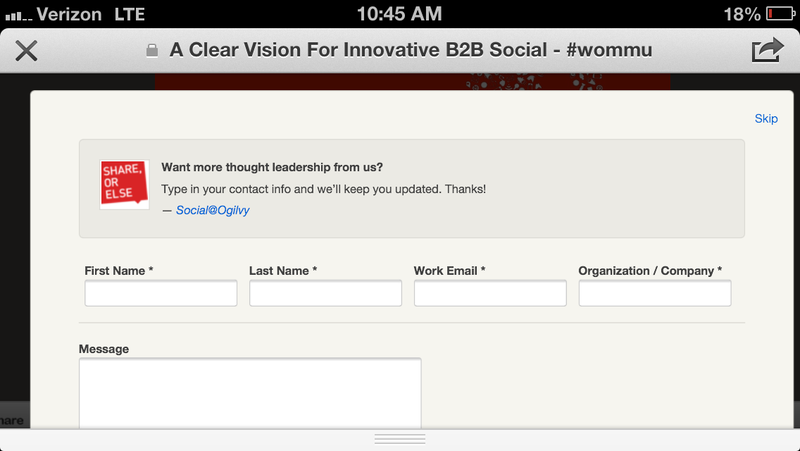 Add and customize your form: First, you’ll need to enable lead capture on your account. Here are the steps. Go to the top, right-hand side of your page and click on the “Pro Dashboard” link in the drop-down menu. Click “Manage” under the “Capture Leads” feature. Customize it, and assign it to your relevant SlideShare presentations. This last step is where your segments come in particularly handy: Assigning specific categories to your content ensures it will appear in front of people who have declared an interest in those topics. In addition, global organizations can also choose to target their audience by country of residence. And for content that appeals to more than one segment, marketers can add custom questions to their lead forms to ensure leads go into the right bucket. For example, you can add a drop-down menu for a lead to indicate the specific role he plays in his organization. Advanced segmentation may split content into buckets based on where leads are in the sales funnel. Lead form timing is important here. 3. Position your form: Where your lead form will appear in your presentations is an important lead-gen consideration. In SlideShare, marketers have the option to gate it on the front end, place it part-way through, or add it to the end. 4. Get the hook-up: Looking for something more sophisticated than an email to track and communicate with the leads you hook? SlideShare’s lead capture feature plugs into Marketo, Eloqua, and Salesforce, and the company leverages an open API that allows marketers to integrate presentations with additional marketing automation, CRM, and data-focused platforms. Because of this, SlideShare lets you manage all of your lead capture efforts from one centralized dashboard. Are you using SlideShare for lead generation? Share your tips and success stories with us in the comments.